Go to imgur and click New post. Click Choose File and find a file on your computer. Wait for the image to upload. Mouse over the image itself and click Copy. Note that imgur offers two links, and only one of them will work! Click New Memo and paste the link. Also add any description text if needed. Memo will detect the link and embed the image when viewing the post. How do I post an animated GIF? 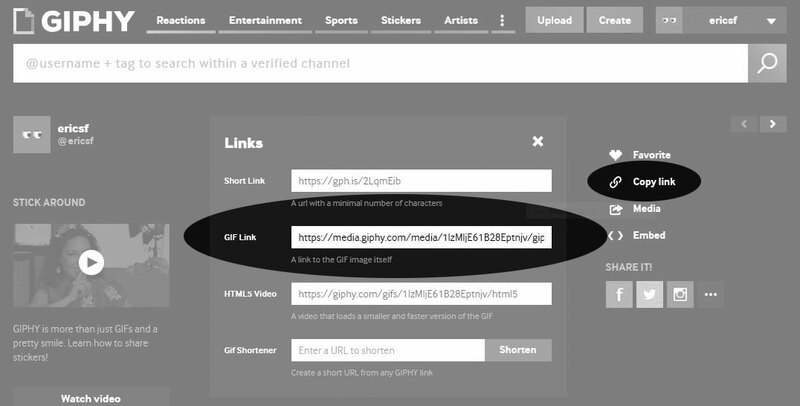 Go to Giphy and find or upload an animated GIF. Find the Links screen by clicking clicking Copy link. On Memo, click New Memo and paste the link. Also add any description text if needed. Memo will detect the link and embed the GIF for viewing the post.